These attacks, as their name implies, can give an attacker the ability to remotely gain access to everything stored on and flowing through the device. 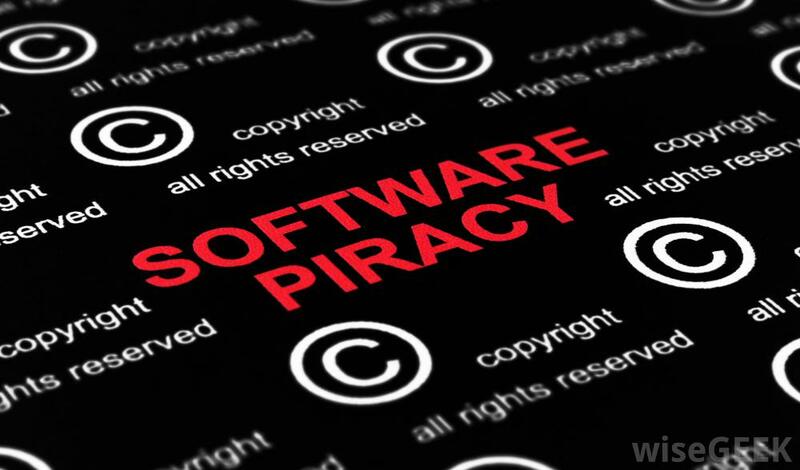 These attacks are typically downloaded from application markets, including Google marketplaces, such as Google Play. Legitimate and seemingly innocuous apps can contain the malicious functionality. Once downloaded, the malicious code can be activated by the attacker and used to do almost anything on the device. A device of an executive or critical employee infected with an mRAT can have a severe impact on the business – the attacker could be privy to all sorts of sensitive information. They could turn on the device’s recording functionality to listen in on boardroom discussions, forward emails or text messages sent to or by the device, take photos of whiteboard diagrams from meetings, access phone calls and voice mails, and even track that individual’s whereabouts. As a result, it is important to have a solution that can analyze the behavior of applications on the device, as well as correlate events on the device and in the network to identify suspicious activity – such as traffic going to unknown servers. The attacks take advantage of opportunities created by the fragmentation of the Android operating system and the openness and vastness of its eco-system. All the different devices and vendor implementations of Android have fragmented the operating system and broken the security patch delivery model. The irregularity of hardware patching cycles and the variances from platform to platform offer attackers ample infection vectors to exploit. In addition, while Google has been working hard to protect its Marketplace from attacks, such as mRATs, by performing security code checks, Google does not perform any built-in security code checks for the apps downloaded from the dozens of secondary open app markets. Protecting Android devices requires a solution that can cover all the different potential threat vectors. It needs to be able to detect malicious applications and vulnerability exploits that could impact a specific device (given the device type, OS version, patch levels, and implementation). It should also be able to correlate device, network and event information to detect and prevent system-level attacks. A MitM attack occurs when the device connects to a rogue WiFi hotspot. Since all communications are passed through the attacker-controlled network device, they can eavesdrop and even alter the network’s communication. MitM attacks have always been a concern for wireless devices, however, the prevalence of smartphones in an individual’s personal and business life has made mobile devices much more attractive targets for this attack. Unfortunately, the typical alert and warning signs that individuals are used to seeing on PCs and laptops are much more subtle in their mobile counterparts. For example, the limited screen real-estate of mobile devices often hides URLs from the user, so they don’t validate the URL the browser is pointing to is actually the intended one. 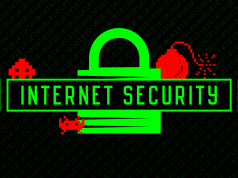 The best way to thwart these types of attacks is through the use of a VPN to encrypt and isolate the communications. Ideally the VPN would be triggered only when rogue hotspots and other risk factors are detected to maximize the user experience. Zero-day attacks represent exploits of vulnerabilities that have been uncovered – but not yet released. Many times, these vulnerabilities lead to the silent installation of attacks, such as mRATs, on a device through a remote exploitation technique. Once on the device, they may enable the attacker to steal passwords, corporate data and emails, as well as capture all keyboard activity (key logging) and screen information (screen scraping). They may also activate the microphone to listen in on conversations and meetings, or act as a botnet to steal contacts or text messages (SMS texts). AV solutions, which rely on known attack patterns to detect attacks, are unable to provide protection for unknown attacks. Organizations need a solution that can identify any suspicious behavior from an app, a device or the network to find and mitigate the impact of zero-day mobile exploits. Check Point Mobile Security provides a mobile threat management platform that allows enterprises to easily manage and mitigate the risks of BYOD and protect their corporate assets from mobile cyber threats, such as malicious applications, targeted network attacks and advanced persistent threats (APTs). 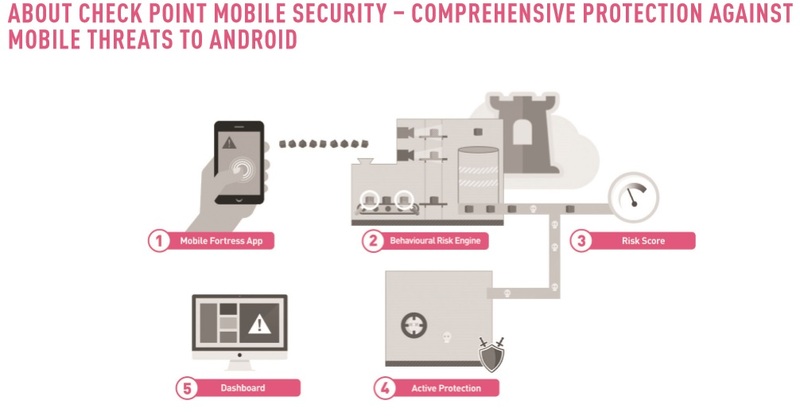 Check Point not only provides the most comprehensive solution for iOS and Android, but also delivers real-time mobile security and intelligence to an organization’s existing security and mobility infrastructures. Its patented technology detects device, application and in-network threats that others will miss and quantifies the risks and vulnerabilities that BYOD exposes to the enterprise. With Check Point, enterprises can balance the needs of mobile security and protection, without impacting the end user’s experience and privacy, to confidently embrace BYOD and other mobility initiatives to fuel their business.